To know one’s surprise, media icon and former guest on Seattle’s “Music Inner City TV” Oprah Winfrey tops the list of powerful celebrities replacing last years winner, Angelina Jolie according to Forbes. Ms. O is closing down her legendary TV next year and will starting HER OWN NETWORK!! The O.W.N. She is developing news shows for network right now. It seems everything Oprah touches turn to gold. Heck, all she has to do is pick out a new book, talk about it on her show and it a best seller. Not only that news business owner have received the “Oprah Touch” with her discussing the new idea or product on her show and BAM!!! they sell out and their phones are ringing off the hook with sells. 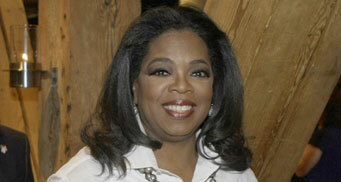 Only Oprah Winfrey can do that. Of course we will keep you informed on Oprah’s news network right here on “Music Inner City News Magazine” One of only a few or maybe the ONLY local program of it’s type in the U.S. who can say we interviewed Oprah Winfrey!!! Keep up with NBA free agent news right here on “M.I.C News Magazine” and our urban sports site “Sports Inner City Online” at www.sportsinnercity.com Covering urban sports news and issues and one of only a FEW URBAN SPORTS WEBSITES ON THE INTERNET. Raven To Marry Her Girlfriend And Wants First Lady To Officiate!